Dragon Metrics allows you to control which parts of your site you want to track. 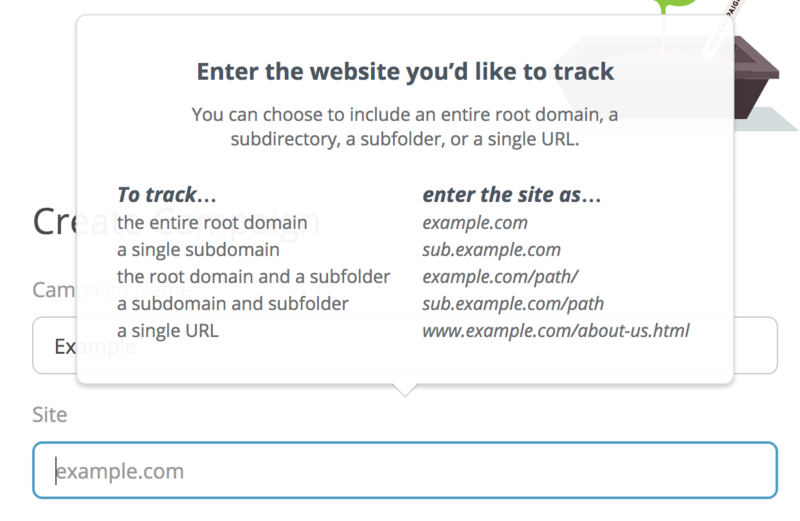 You can track an entire root domain, a subdomain, subfolder, a single URL, or a combination of subdomains and subfolders. We commonly refer to this as your website's scope. This scope is used when checking whether or not a URL is considered part of your site when calculating keyword rankings, site crawls, backlinks, and other metrics. The way you enter the website during Campaign Creation determines this scope, so it's important to think carefully about what you want to include when creating a new campaign or adding new competitors. When entering your site, the way you type in the URL will determine the site scope. Please note that the scheme (e.g http or https) is not required, as both http and https versions of each URL will be included by default. These rules apply when adding the main site for the campaign as well as any competitor sites.